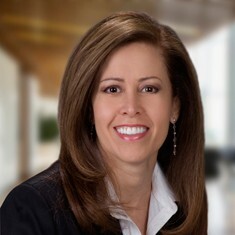 Gina DeRaffele is Senior Vice President of Brokerage at Ackerman & Co., specializing in representing clients in the sale, purchase and leasing of office properties. Gina has more than 20 years of commercial real estate experience, providing valuable solutions focused on acquisitions, dispositions and restructuring leases locally and nationally. She places special emphasis on building strong professional relationships with clients through extensive services, detailed and comprehensive marketing analysis and skilled negotiations to create maximum value for clients. Gina focuses on matching her clients’ business goals and objectives with the right property in order to meet their overall needs. Gina is responsible for 100,000+ square feet in transactions annually with many regional and national corporations and firms. She has a proven track record of negotiating the most favorable lease deals for clients, regardless of macroeconomic conditions. Since 2000, Gina has executed nearly 200 transactions, encompassing some 3,500,000 square feet of office space.